It's no secret that I have plenty of Project Life cards, though thankfully I've been able to split apart the core kits I've bought. I've always used them in a variety of ways, and now I can add card making to that list. 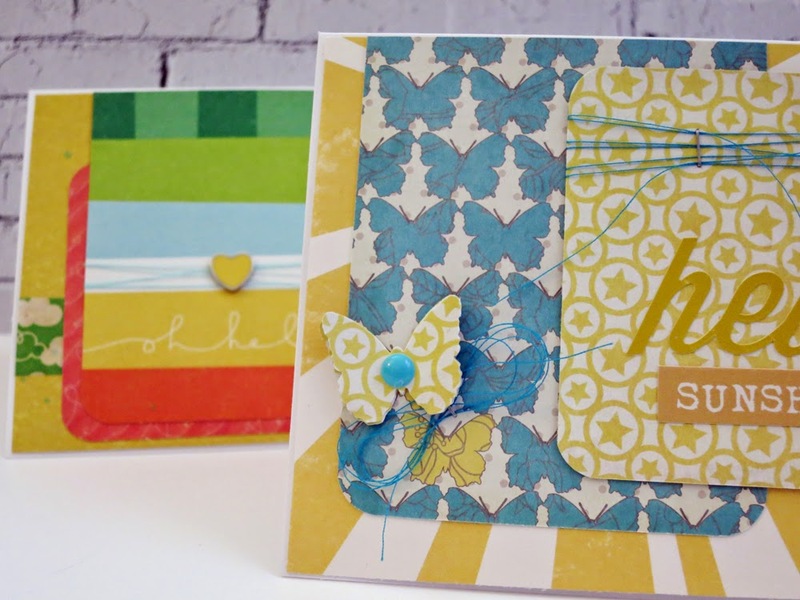 I was amazed at how quickly these cards came together because I'm not a speedy paper crafter, often needing to move the elements around, and then around some more. 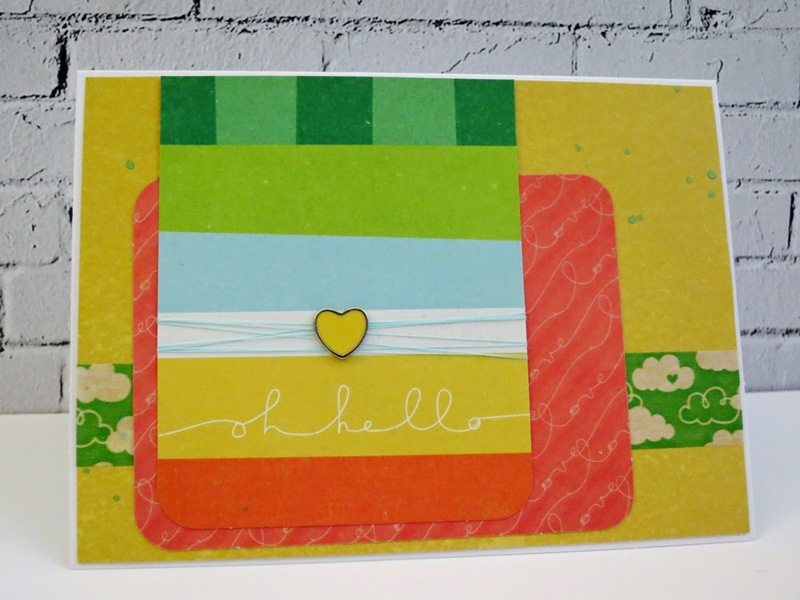 For the first card, I used cards from the Azure kit and a sheet from a Studio Calico 4"x6" paper pad. The scrap from the yellow card provided enough paper to punch a couple of butterflies, and then I wrapped and wound some thread for texture. I have sticker sheets that I struggle to use, but found they provided the perfect way to add a sentiment. 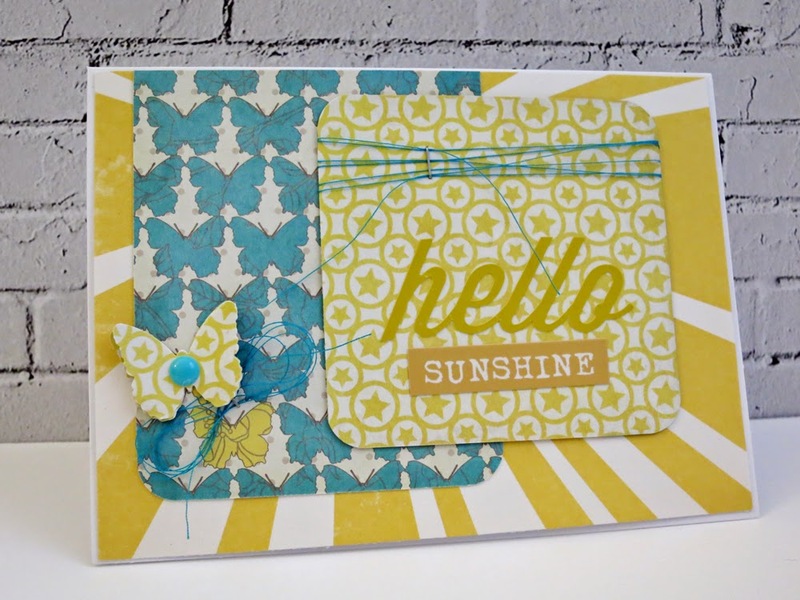 The second card was made with the Coral kit and a sheet from another SC 4"x6" paper pad. The simple embellishments are made up of a Freckled Fawn metal heart and washi tape, mist, and thread. Simple, colorful greetings to hopefully brighten up someone's day! Great way to use those PL cards! The cloud washi tape is so cute! really like what you did with the thread! Gosh these are wonderful. Who doesn't have a ton of PL cards that need to get used up..great inspiration. So clever ! They are so pretty, love the tied thread, especially the one with the fasten, and the blue-yellow color palette ! These are awesome! I've been meaning to try PL cards with cardmaking!! LOVE! I really like the yellow and blue one. The tiny staple on the twine is a lovely touch. Great cards and such a perfect use of these cards. These are so elegant! I actually had to stop buying the SC 4x6 pads bc I have way too much leftover paper each month. I think I need to use some of my PL cards on some cards, too!